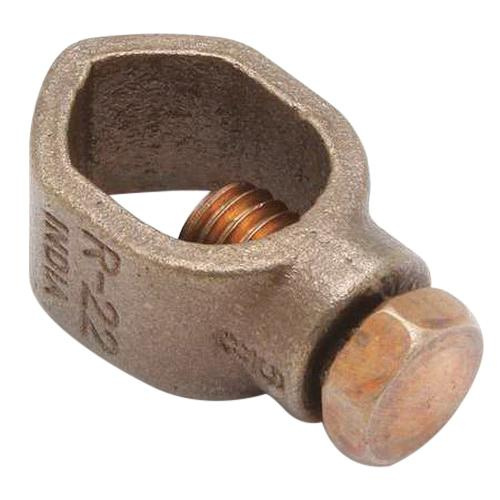 Burndy Type GRL Light-duty mechanical grounding connector features copper alloy body and silicon bronze bolt. Connector of size 0.94-Inch x 1.34-Inch, provides grounding wire to rod connection. It accommodates conductor of size 10 - 2-AWG. It has stud of size 5/8-Inch and installation torque of 240-Inch-lb. Mechanical ground connector is UL listed, CSA certified and RoHS compliant.